Day to day industrial operations take their toll on your equipment & facility. OTN's Estimators have years of exposure to industrial environments and that means our clients receive sound advice and value driven solutions to their maintenance challenges. At OTN, we understand the pressure maintenance shutdowns put on your bottom line. Our crews will work around the clock, through weekends and holidays to minimize down time costs. Our dedicated crews are highly trained. Our workmanship meets and often exceeds industry and safety standards. OTN provides quality service and results, safely delivered on time. Coating standards and production goals vary from industry to industry. OTN Estimators are dedicated to solution driven services. We have the experience, knowledge and back-up from technical coatings experts to identify performance issues and reach the best answers. Key factors considered in this process are surface preparation, coatings selections and application methods. Your Estimator is also the Project Manager through your scope of work. Communications remain open, concerns and needs are addressed immediately, materials are efficiently ordered, crews are scheduled to meet time lines. With OTN, you always have an immediate and personal contact. 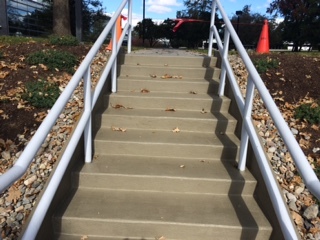 Through each step of an Industrial Finishes Project, we are committed to Safety, Service and Quality. OTN brings years of industry experience to all of our projects and we strive to earn our client's respect and trust as a valued consultant. Contact us to learn how you can benefit from our hard work and let OTN help you select the right Industrial Coatings Services to improve your plant efficiency, equipment performance and overall bottom line.